Rattanachaikunsopon P, Phumkhachorn P. Potential of coriander (Coriandrum sativum) oil as a natural antimicrobial compound in controlling Campylobacter jejuni in raw meat. 1. Biosci Biotechnol Biochem. 2010;74(1):31-5. Epub 2010 Jan 7. Twelve essential oils were tested in vitro for antimicrobial activities against several strains of Campylobacter jejuni, a pathogen causing food-borne diseases worldwide. Using disk diffusion and minimal inhibitory concentration determination assays, we noted that coriander oil exhibited the strongest antimicrobial activity against all tested strains. The oil had a bactericidal effect on the target bacteria. In evaluating the antimicrobial potency of coriander oil against C. jejuni on beef and chicken meat at 4 degrees C and 32 degrees C, it was found that the oil reduced the bacterial cell load in a dose-dependent manner. The type of meat and temperature did not influence the antimicrobial activity of the oil. 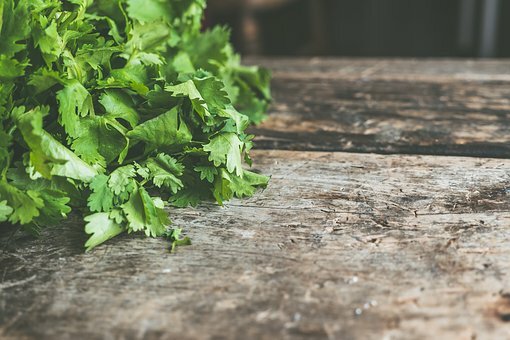 This study indicates the potential of coriander oil to serve as a natural antimicrobial compound against C. jejuni in food.